The IRS can reject your request to change an accounting method. The Internal Revenue Service allows businesses to choose among different accounting methods that include how you recognize revenues and expenses, value inventory and depreciate assets. You don’t need IRS permission for the accounting methods you adopt when you start a business, but you might need approval for subsequent changes. 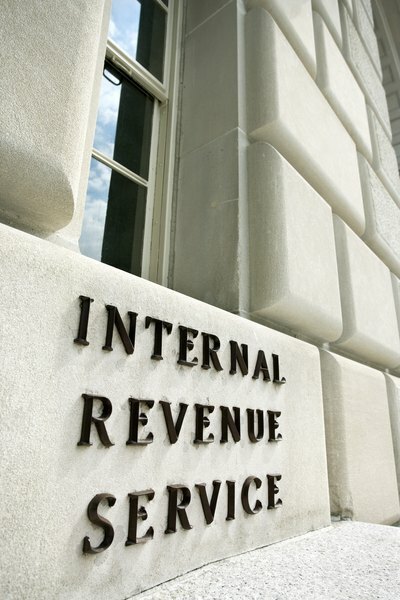 Use IRS Form 3115 to request IRS permission to change an accounting method. IRS Form 3115 is used in order to request permission from the IRS to change your method of business accounting and documentation. Under the cash accounting method, you recognize revenues and expenses when money changes hands. The IRS limits use of the cash method to companies with average annual gross receipts below $5 million over every three year period since 1985. The accrual method recognizes revenues when they're earned and expenses when they're incurred. The method’s matching principle requires you to match revenues and expenses to the period that produces them. The accrual method gives a better idea of a company’s profitability, but the cash method does a better job at reporting the company’s cash position. The cash method is simpler, because it avoids accruals and prepayments. You can choose among different ways to identify inventory costs and ending value. The IRS wants you to specifically identify the cost and price of each inventory item, but this is seldom practical except for high-ticket items. You can therefore choose first in, first out or last in, first out cost flows, otherwise known as FIFO and LIFO, respectively. You can adopt a LIFO sub-method, such as pooling and dollar value. You must file Form 970 when you adopt LIFO. You can value ending inventory at cost, lower of cost or market (LCM) or via the retail method. The LCM method allows you to mark down inventory when its selling price falls below its cost. The retail method gives you an estimate of ending inventory based on your ratio of inventory cost to selling price. Depreciation allows you to recover the cost of long-lived assets by annually deducting a portion of the cost over a period of years, commonly referred to as the recovery period. Amortization is similar, except it applies to intangible assets and bond discounts and premiums. The simplest method is straight line, in which you subtract the salvage value from cost and divide the result by the recovery period. You can instead choose a declining balance method, which accelerates early deductions. You can also request a change in the way you allocate direct and indirect costs to goods you produce. The IRS automatically approves certain changes you request on Form 3115, but other changes require advance consent. The form’s instructions contain a list of automatically approved accounting method changes. The IRS won’t offer you automatic approval for a change in accounting method if you are under examination or are connected to a company under examination. You can file the request during the tax year for which the change is requested. The IRS doesn’t require you to file Form 3115 if you need to fix a math error, adjust an income or expense for reasons not involving the timing of the adjustment or make certain adjustments to the useful life you use for depreciation and amortization. You don’t have to pay a fee when you file Form 3115 unless you ask for advance consent. If the IRS approves an advance consent request, it sends you a ruling in letter form. See the Form 3115 instructions for more details. The IRS introduced revisions to IRS Form 3115 in December 2018. As part of the reforms and revisions, reductions in filing requirements have been implemented which will affect qualified small taxpayers. Changes have also been made to the specific process for electing to defer advance payments. Individuals can find the complete list of changes implemented in this recent update here. The IRS made some updates to the list of automatically approved changes in 2018. These include mostly highly specific changes relating to utility upgrades, lawyers who advance money on behalf of clients and timber grower fertilizer costs, among others. If you think your business may be affected, it's a good idea to review the most recent IRS changes or consult a tax lawyer or accountant.